All types of construction signs made. A Construction contractor needs to post some construction signs as required by the NYC Dept. of buildings (DOB) for safety and preventing injuries and complying with construction site regulations. 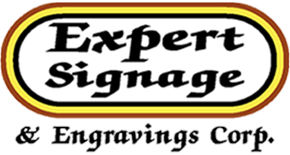 Expert Signs make all types of construction site signs as required by law.